I’m sure that when Eddie Van Halen designed the Peavey 5150 amp back in the early 90s (and later the 5150 II), he didn’t think that a decade later it’d be one of the most prominent amps among the extreme metal community, nor that the design would live on following his departure from Peavey. After Eddie jumped ship to form his own company, EVH, Peavey continued to build the amp but changed the name (5150 = 6505, 5150II = 6505+). Now they’ve released the single-speaker 6505 Plus 112, which cuts down on some of the legendary heft of the original 2X12 version. After forging the sound of aggression for more than 15 years, Peavey is making its highly respected, high-gain 6505® Series amplifier available for the first time in a 1×12 combo-amp configuration. The Peavey 6505—the amplifier used by metal stars Trivium, Machine Head, Bullet For My Valentine and many more—will now be available in a 60-watt combo with two channels and an extensive feature set. The new 6505 Plus 112 combo harnesses the full gain and legendary tone of the Peavey 6505 Series, which since 1991 has defined the sounds of extreme rock guitar, into a format that is equally suited to clubs, rehearsal rooms and studios. Five select 12AX7 preamp tubes and a pair of 6L6GC power-amp tubes provide the tonal foundation for the 6505 Plus 112 combo, while patented circuitry such as Peavey’s Resonance control tweak its legendary tone. Both the Lead and Rhythm channels feature independent three-band EQ, pre/post gain controls and Presence and Resonance adjustment. The Rhythm channel also includes a footswitchable Crunch boost. The 6505 Plus 112 combo also features the Peavey MSDI™ microphone-simulated direct interface, which eliminates the need for miking by allowing users to route the amp’s signal directly to a recording device or mixing console. Additional features include three-spring reverb, effects loop and external speaker outputs, plus a 12″ Sheffield® loudspeaker in a sealed-back cabinet that offers maximum resonance and sound projection. The extensive Peavey 6505 artist roster includes Machine Head, Trivium, Bullet For My Valentine, Black Tide, Evergrey, Unearth, Story of the Year, Bleeding Through, Job For A Cowboy, Black Stone Cherry, In Flames, Gojira, Daath, Divine Heresy, Evergreen Terrace, The Devil Wears Prada, Bury Your Dead, All That Remains, Demon Hunter and many more. 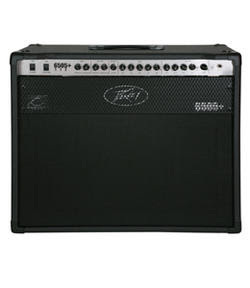 The Peavey 6505 112 Combo will be available from authorized Peavey retailers in Q2 2009. For more information, visit their web site at www.peavey.com. CLICK HERE to buy the Peavey 6505 120W amp from Music123. CLICK HERE to buy the 2X12 version of the combo from Musician’s Friend. This one seemed to creep under my radar. Ernie Ball/Music Man have created a sub-brand called Sterling (named after Sterling Ball) and they had a few models on show at NAMM. Word is that the designs are very close to the US-built versions, including the types of wood used, the instruments will be made in Indonesia and Korea and will be priced more affordably, somewhere in the region of the now-deleted SUB line. Pictured is an AXIS model. 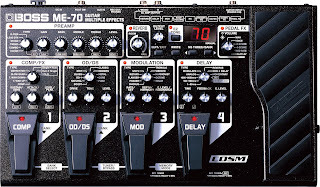 CLICK HERE to see the John Petrucci model. The instruments will hit stores in March 2009. By the way, I found these same photos on several forums and it’s kinda hard to establish their origin. If you’re the person who took these shots, please let me know and I’ll either add a photo credit or remove them, at your request. 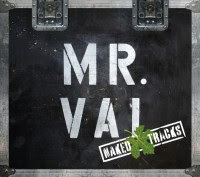 Those who have been waiting patiently for the physical release of Steve Vai’s ‘Naked Tracks’ can now head on over to the Vai.com store. The CDs will be available from February 2. These recordings are Steve Vai’s actual studio tracks, with the lead guitar removed so you can play along in your own little Vai fantasy world. I couldn’t wait for the physical release so I bought a few of them from eMusic (Fire Garden/Ultra Zone and Passion & Warfare) but the actual CD set looks very cool, and the completist in me kinda wants that too. This 1959 Fender Musicmaster was designed as a student guitar, and what could be cooler to a 50s teenager than rocking out on a sparkly Fender? This particular guitar is for sale on eBay by Neals Vintage Guitars. Click here to see it. This is a 1959 Fender Musicmaster Guitar in RARE Sparkle Finish. This guitar is all original. All solder joints are stock. The neck date is Jan of 1959 and the pots date 1958. Everything is correct. Has great neck, nice and straight, low action, frets still in very good shape with just minor wear. Comes with the original tan Fender Case. CLICK HERE to see other vintage axes at Neals Vintage Guitars.